Paul Kingsnorth’s novels and essays capture an England coming apart. This man with a name like the frost on an apple tree is 45 years of age. He grew up in the south of England and read history at Oxford. His family included bus drivers, businessmen, policemen, and shopkeepers. His father, Robert, was a self-made man (until Thatcher, the term was a derogatory one in Britain) who forced him to go on arduous walking holidays, during which he wept from tiredness but also learned the names of the flowers and birds of his native land: yellow rattle and red clover among the uncut hay; curlews and lapwings overhead. His grandparents ran an old-fashioned English sweetshop, the kind of place I remember (I’m a year older than him) where one could buy a paper bag of sherbet lemons or barley twists and which is laughable to imagine existing now, in our England of brands, sameness, and huge, sprawling supermarkets. 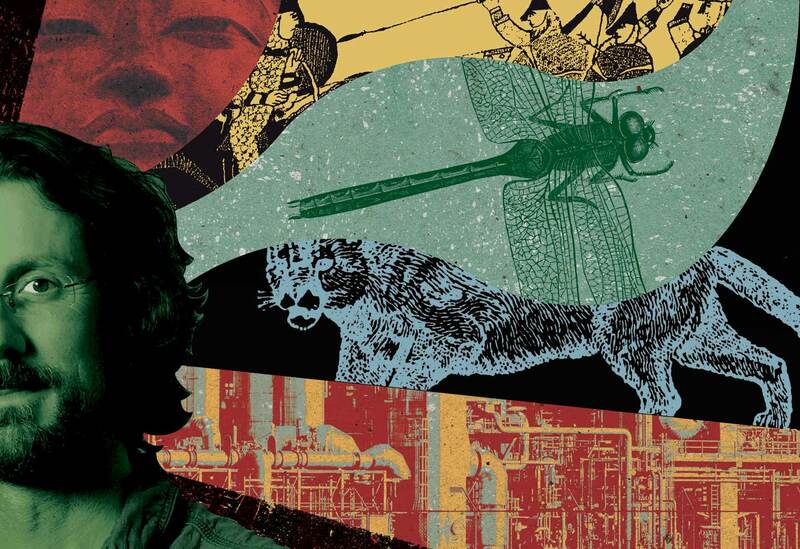 While many of his Oxford contemporaries went on to take their places in Tony Blair’s proudly cosmopolitan Britain, Paul Kingsnorth was drawn to the more subversive anticapitalist movement that came to life around the turn of the millennium. From his base at The Ecologist magazine in London, where his co-conspirators included Zac Goldsmith, son of one of Britain’s richest entrepreneurs (and a future Conservative Party politician), Kingsnorth went to Mexico to succor the Zapatistas, dodge riot police at the G-8 summit in Genoa, and parley with the armed resistance in West Papua. The experience of observing a movement in which he was also a participant fed his first book, One No, Many Yeses (2003), in which Kingsnorth laid out a fervent, optimistic, sociable worldview that would waft ordinary people everywhere to victory against the international plutocrats ranged against them. That “apart from winning” reads poignantly in the light of subsequent events. World capitalism has of course scored further victories, in spite of the economic collapse of 2008, capturing not only forests and city centers but also the Internet. At the same time, world protest has splintered into myriad movements capable of uniting only briefly—if at all—behind figures like Bernie Sanders and Jeremy Corbyn. For much of this tumultuous period, Kingsnorth was a full-time environmentalist, fighting highway projects in his native land and agitating for action on climate change. He also wrote his second book, Real England (2009), in which he decried the damage being done by big business to the country’s living pores: its pubs, canals, farms, and shops. Real England was much admired when it was published. David Cameron (then leader of the opposition) cited it, as did the archbishop of Canterbury; Mark Rylance kept it close while rehearsing Jerusalem, Jez Butterworth’s satirical play about modern progress. If the book was more elegy than clarion call, this was perhaps because the activism in Kingsnorth was gradually being subdued by a realization that much of society, far from being the innocent victim of global business, was more than happy to sacrifice the old web of human relations for the new matrix of cultural convenience. (And Cameron, once in power, immediately forgot most of the book’s admonitions.) Kingsnorth began to lose faith in the ability of the human race to correct its view of the earth as an object to be manipulated. It is easy to believe that this was a case of the heart being led by the head: The effort it required to remain optimistic was taxing his serenity, and his loss of faith darkened his views on climate change. From a problem that might be solved, or at least substantially mitigated, it became a fate that had to be endured. Kingsnorth apparently relished his own pessimism. “I withdraw from the campaigning and the marching,” he announced in the first issue of Dark Mountain, the new periodical that he launched with Hine in the spring of 2010. “I withdraw from the arguing and the talked-up necessity and all of the false assumptions. I withdraw from the words. I am leaving. I am going to go out walking.” The place of human beings in the world, Kingsnorth had decided, is ancillary. “This edgeland,” he observed while standing on the sands of Morecambe Bay in northern England, “this world of wing and water” is indifferent to us. As a Zen Buddhist, Kingsnorth is aware of the significance of withdrawal—all that doing nothing can actually lead to something—and the instinct to put down thoughts, communicate, and exhibit has intruded even upon this high-minded exile. Although he vowed to give up the words, he hasn’t done anything of the sort, continuing to work on Dark Mountain, receiving interviewers and profile writers, and updating his personal website. Two new projects—a collection of essays detailing his disenchantment with conventional environmentalism and two novels of a planned trilogy stretching from a brutal English past to a dystopian English future—chronicle a man who has reached maturity without losing his breath. These middle years may turn out to be his creative inflection point, with youth and old age cupped in a delicate balance and the eye looking both backward and forward. While the new works might appear to lack a single unified thrust, inhabiting different forms and different times, their underlying concerns—the future of the planet, the future of nations, the future of belonging—are those of the time we live in, making them a coherent whole. 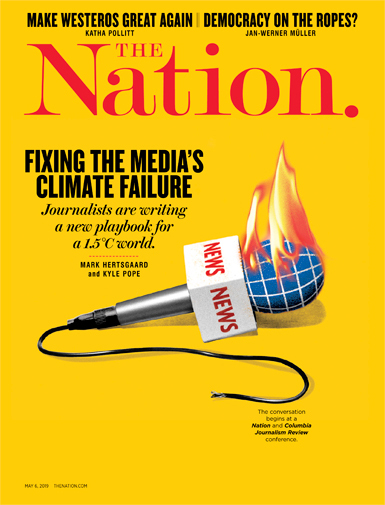 Kingsnorth’s new book of essays, Confessions of a Recovering Environmentalist, ranges widely, moving from conventional environmentalism to his connection to nature to his dislike for the hubris of human gods. Modern conservation isn’t an exercise in ingenuity, as the can-dos would have us believe, but rather forbearance. Kingsnorth doesn’t hide his contempt for the kind of environmentalism that regards nature as so much untapped clean energy and a mountaintop as a view awaiting hikers. One gets the impression that if Kingsnorth ran the world, large areas of it would be removed from the human ambit. we have cut ourselves off from everything else that lives, and because we don’t believe that it does live, we have ended up talking only to ourselves…. We are becoming human narcissists, entombed in our cities, staring into our screens, seeing our faces and our minds reflected back and believing this is all there is. Outside the forests fall, the ice melts, the corals die back and the extinctions roll on; but we keep writing our love letters to ourselves, oblivious. essentially the same man, separated by a millennium—also have much of Kingsnorth, but passed through thick grains of history and culture. His fiction debut, The Wake, was published in 2014, and there is now a sequel, Beast, which he rattled out in his Galway writing shed. The good news is that Kingsnorth is a fantastic novelist—lyrical, instinctive, and true. It’s the wild world, the sense of a nation, and a desire for freedom so powerful that it’s the neighbor of insanity which communicate in his fiction. all is bright when blosms is open and buterefleoges is floteran on them. we was in his boat again and on to the water of the fenn and in litha [May/June] with all bright and hued wyrmfleoges [dragonflies] and all the heofon writhan [heaven writhing] with lif and with the risan sunne on the nebb [face] of the water the fenn what can be so blaec and deop and cold on this mergen [morning] was a thing of great wundor. under the boat under the water and not so deop was the stocc [trunk] of a great blaec treow [tree] torn to its root lic a tooth in the mouth of an eald wif. a great treow it was wid and blaec…and as i was locan [looking] i seen another and another and i colde see that under this mere was a great holt [forest] a great ealde holt of treows bigger than any i had seen efer…the treows in the mere was beorned [burned] in to me that daeg [day] and until i is in my deap graef [grave] always i will see them all. I think that something is coming. I don’t know what. I wonder if it will thunder, if there will be lightning. Lightning is drawn to iron. There is iron on the roof, but there is iron too in the deep rocks of the moor. I am living on and under iron, there is metal everywhere, metal and flesh and wet, black trees…. Last time there was a big storm, the track from this place, which leads along the combe about a mile down to the road, became so pitted and full of great gashes that I could barely even walk on it. It was as if something had attacked it. This is the prelude to an accident or apocalypse that sunders Buckmaster’s narrative. We next find him lying in agony in another version of the same world. The novel’s fabric is also torn. The word “collapse” is left unfinished, then there are two blank pages, and we resume with the Y in “my” on the page after that. Buckmaster’s recovery from his unexplained injuries is now the story. We also find ourselves in a changed environment. The weather is hot and unremitting, it never gets dark, and silence reigns amid the blanched, lifeless moors, heightening Buckmaster’s isolation. His own needs have also diminished—he finds he can get by on little more than water. Still, something impels him to limp down the track outside the farm, under the hot, flat sun. What is the meaning of Buckmaster’s quest for the cat, as he calls the creature, and who is hunting whom? It is presumably for us to decide what predator circles around Buckmaster, and he around it. There are more split-word chapter breaks and abrupt changes of direction, and memories come at him, and at us, like shards. At one point, he cheers the apocalypse: “I closed my eyes and saw my mind straining at the bars lashing out at the world all of the smallness and stupidity. I saw it all finally crushed all the people flattened the glory of the end of it all.” By the end of the book, the punctuation has dropped away, the long high keening of the cat is drawing close, and Kingsnorth gives us wide entry into Buckmaster’s insanity. In nature I see something divine, and when I see it, it moves me to humility, not grandiosity, and that is good for me and good for those I come into contact with. I don’t want to be a god, even if I can. I want to be a servant of god, if by god we mean nature, life, the world. I want to be small in the world…help it along, protect myself from its storms and try to cause none myself. This is a good, manageable aspiration, even if its author is also capable of great wrath. More of us should adopt it.